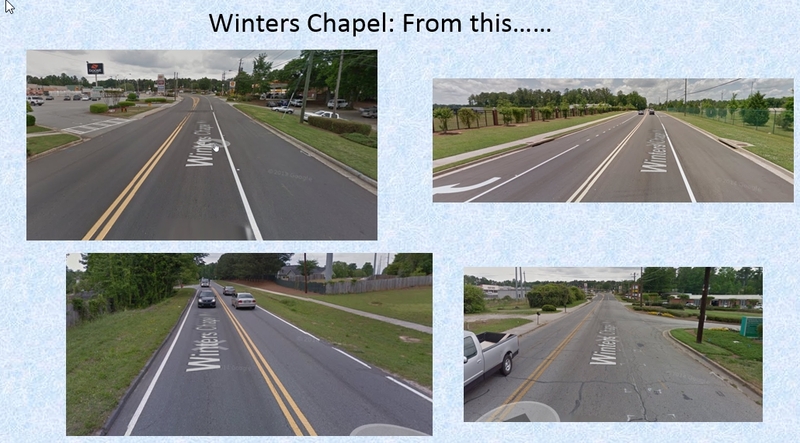 Winters Chapel Road serves as the approximate border between the cities of Peachtree Corners and Dunwoody. The Study includes a Community Workshop designed to share concept plans and gather input from community residents on ideas for improvement. Follow NACTO Design Guidelines for bicycle facilities. Chicanes and other traffic calming devices. 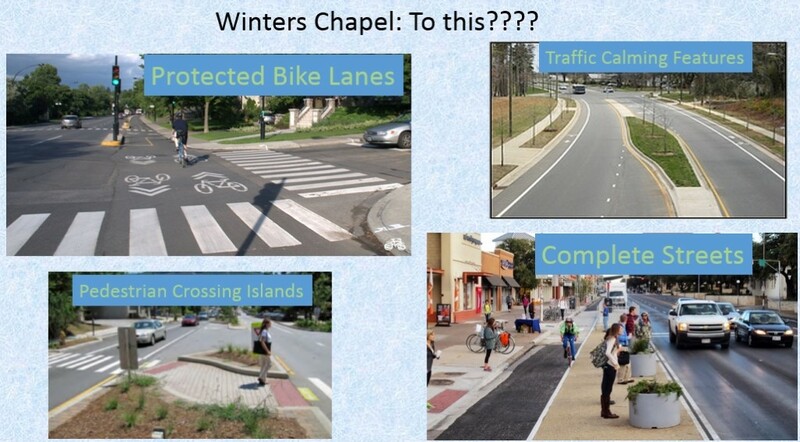 The meeting will be held at Winters Chapel United Methodist Church, 5105 Winters Chapel Road, Peachtree Corners, GA 30360 from 7 – 9 p.m. Refreshments will be provided.